In our previous post about conducting your own energy audit we provided information on finding air leaks and inspecting the insulation levels in your home. Though those are two very important pieces of an energy audit, it’s important to look at other aspects of your home’s energy efficiency to get a clear picture of your home’s sustainability. Not surprisingly, the energy it takes to heat and cool your home is the biggest energy expense for most people. But if your heating and cooling equipment is not working efficiently you could be paying more on your energy bill than you have to. Inspect your equipment to be sure it’s working properly and costing you the least amount of money each month. If your ductwork has any dirt streaks, it’s often a sign of air leaks and inefficiency. Seal them with duct mastic to solve the problem. As you continue to examine your ductwork, look for places where it doesn’t have adequate insulation. Experts recommend a minimum insulation R-value of 6. 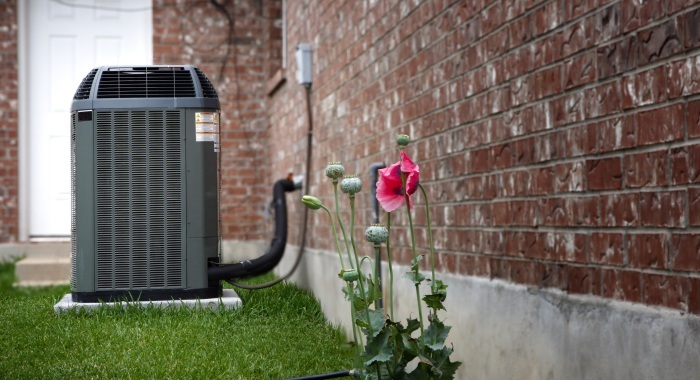 In addition, if your heating and air conditioning systems are more than a decade old, they are far less efficient than the models available on the market today. If you really want to see cost savings each month, it’s a good idea to replace it with an energy-efficient model, such as an ENERGY STAR-certified system. Though it’s a big expense upfront, the long-term cost savings could more than pay for the new unit. Every appliance in your home should have a label that states its wattage. From there it’s easy to determine how much energy your appliances consume on average. You simply multiply the wattage given by the number of hours the device is in use each day. Then you divide by 1,000 to get the number of kWh consumed. For example, you might use a 500 watt refrigerator 24 hours a day. You simply multiply 500 times 24 to find out that running your fridge requires 12,000 watts of energy per day. To find the number of kWh you divide 12,000 by 1,000 to get 12 kWh. You can take the equation one step further to determine how much you spend powering your appliances every day or every year. Simply multiply the number of kWh consumed by your appliance by the electricity rate charged by your utility, which should be listed on your monthly bill. If your appliance uses 12 kWh per day and you pay a rate of $0.10 per kWh it will cost you a total of $1.20 per day to run your refrigerator. It may not seem like much, but you’ll end up paying a total of $438 per year just running the one appliance. Do the same with all the appliances and electronic devices in your home. Your house is probably full of energy-sapping devices – microwaves, TVs, computers, coffee makers and more. Calculating the electricity consumption of each device and adding them together will give you a clear picture of how much of your energy expenses come from operating these devices. There are some simple adjustments you can make to reduce the energy expenses of your appliances, such as watching less TV or using the microwave more often than the oven. However, the only way to significantly reduce your expenses is to replace your old appliances with new energy-efficient models. ENERGY STAR appliances are typically the most efficient but every appliance comes with an energy guide so you can compare wattages and determine how much the unit will cost you each month.